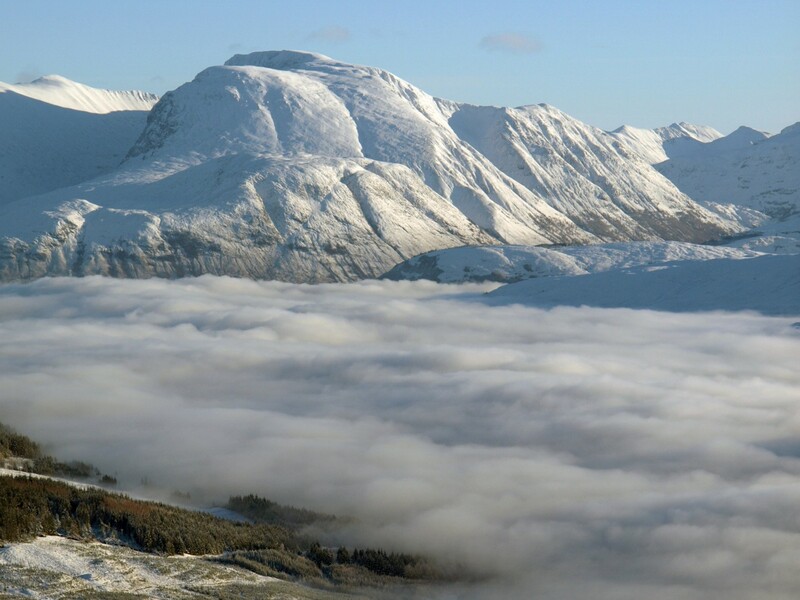 Glen Nevis is one of the most beautiful and spectacular glens in Scotland. 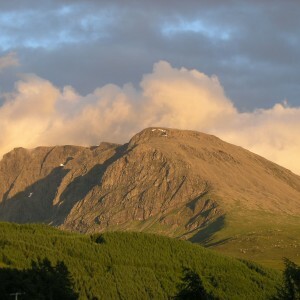 It nestles at the foot of Ben Nevis and is easily accessible from Fort William on foot, by bike, car or bus. 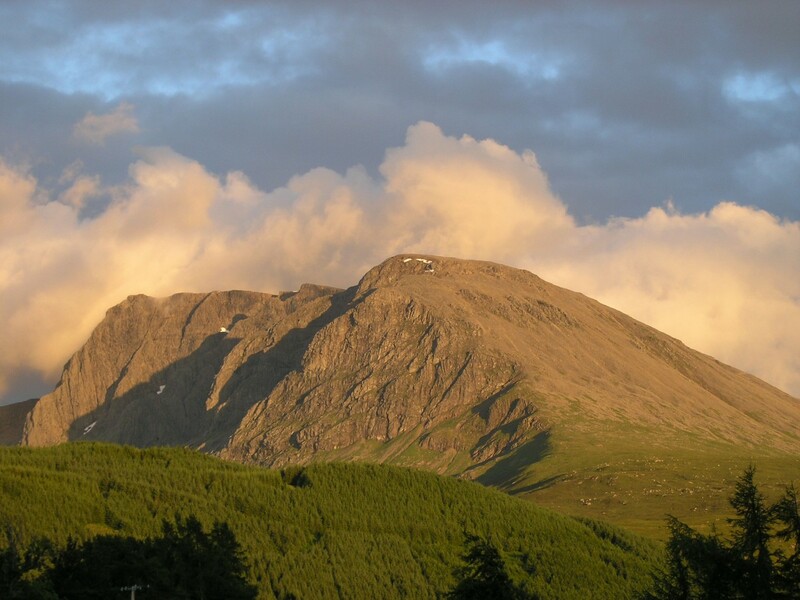 From the floor of Glen Nevis you can see some of the different rocks that make up the Highlands of Scotland, as well as dramatic evidence of sculpting by the huge Ice Age glaciers which once filled the glen. Not far down the Glen you come to the main car park for Ben Nevis. 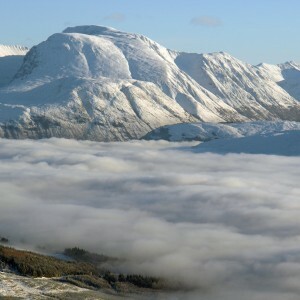 The Glen Nevis Visitor Centre is located here, where you can get loads of useful information about what to do. This is the normal starting place for walking up the pony track of Ben Nevis. A beautiful twin waterfall marks where the road becomes single track. Park at the lower falls car park and explore the falls, the Polldubh cliffs and the roche moutonnees that line the roadside (click on the map pins to learn what these are). If you drive to the very end of Glen Nevis, to the end of the single track, you can park up and see the famous water slide (A great BBQ spot), before walking to Steall Waterfall, the second highest waterfall in the UK. The many forestry trails of Glen Nevis make it an ideal place for walking and biking, so make sure you come prepared. The Glen provides many stunning sites, so try and stop at the points marked on the map below, so as not to miss anything! To purchase the official leaflet with all the detail visit our shop page.